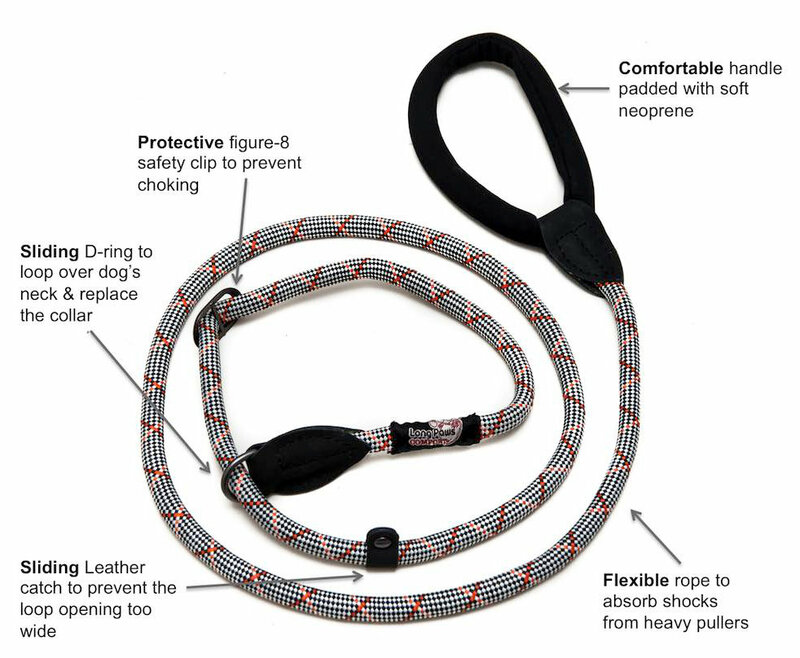 This grey dog slip lead is designed for dogs that need to go on and off the lead frequently. It slips easily over the dog's head, and has safety clips to ensure it does not choke the dog and does not open too much allowing the dog to escape. With the thick 1.3cm soft rope you dog is always comfortable, and the padded handle ensures you too are comfortable.